Assistantships are available for entering graduate students. Ordinarily, financial support for first-year students is in the form of a teaching assistantship, although in unusual cases a research assistantship may be made available. An exceptional candidate may qualify for a prestigious University Fellowship. Typically, a teaching assistant will assist in undergraduate laboratory sections and grade lab reports, quizzes, and exams. Teaching and research assistants will receive a competitive stipend along with a waiver of tuition and most fees. 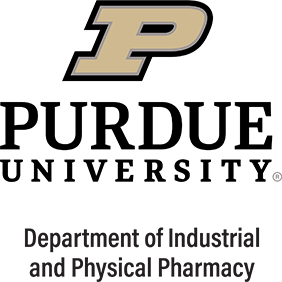 Thanks to grant funding from the Department of Education's Graduate Assistance in Areas of National Need (GAANN) program, Purdue is proud to offer special fellowships in pharmaceutical engineering. These fellowships provide an outstanding opportunity for students to train for academic or high-level research careers. For more information, please see the GAANN website. Visit the Graduate School’s Financial Information webpage to find out more about financing graduate study. It provides a list of appointments, fellowships and grants available at the University. This list does not include teaching and research assistantships, which are frequently used as financial support for graduate students in the programs in the Department.